Croatia is becoming a popular adventure and cruise destination. Dubrovnik is certainly on many people’s bucket lists. Tourists go to marvel at the gorgeous national parks, spend time at the seaside resorts and immerse themselves in the country’s picturesque towns. This Eastern European nation is also one of the uncredited stars of HBO’s hit show “Game of Thrones,” as numerous scenes and episodes are shot there. If you’ve ever watched the show and wondered whether the stunning landscapes and scenery are real, you can safety assume that they are and that they are most likely located somewhere in the country. Like any fan of the series, you have probably wanted to walk the streets of Qarth or stroll across King’s Landing. You can now do it, and, imagine that, you don’t even have to go bankrupt. Wanduru, a ground travel metasearch engine and fare aggregator, looked into the bus travel options available and developed an itinerary that allows you to visit all filming locations across Croatia for under $100 – $90.17, to be exact. Wanduru used a unique routing system to find the most optimal route to visit all these places in one single trip and then calculated the average price of a one-way bus ticket for each leg of the journey. You are going to have to make a looped trip that begins and ends in Croatia’s capital of Zagreb, with seven stops in-between. That way, if you’re arriving into Croatia by plane, you’re able to fly in and out of the most popular airport in the country. 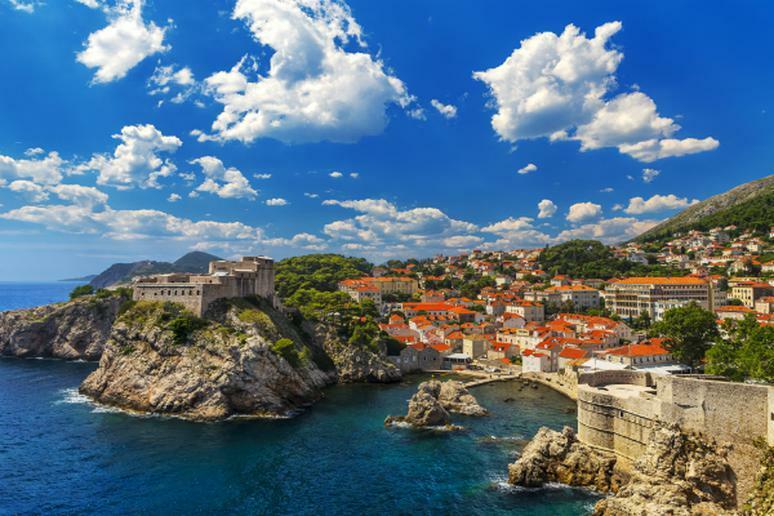 Stops on the tour feature all the locations in Croatia where “Game of Thrones” has been filmed, including Krka National Park, the smaller towns of Trogir, Makarska and Trsteno, and the cities of Šibenik, Split and Dubrovnik. You can make the adventure even cheaper by cutting the last leg of the trip by not returning to Zagreb and flying out of Dubrovnik, instead.